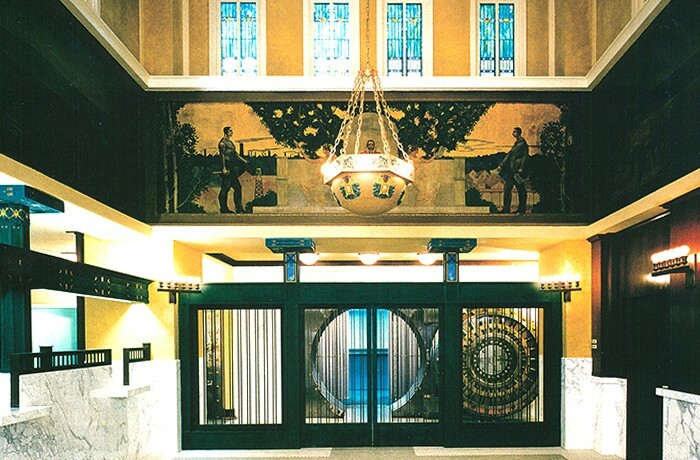 The People’s Savings Bank of Cedar Rapids was designed in 1911 by Louis H. Sullivan. It received immediate widespread critical acclaim. During the next forty years it served admirably as a bank building with little change to its design. 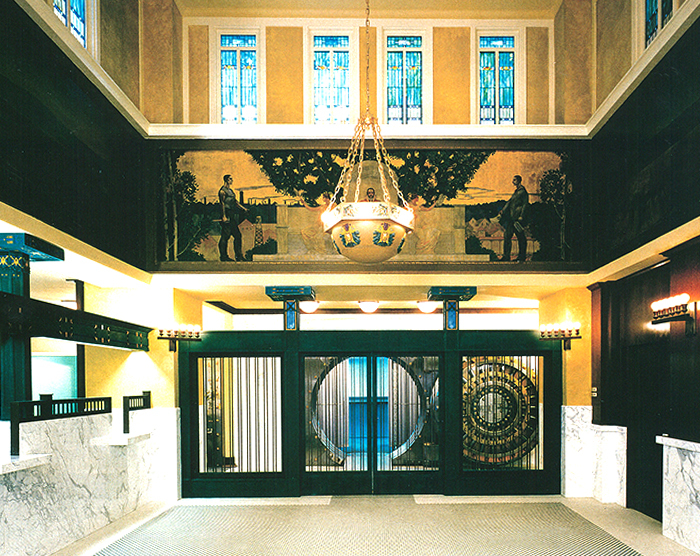 Following World War Two, many renovations were made to the bank to allow for expansion. Major changes had been made to the interior which obliterated Sullivan’s original design. The exterior, however was only slightly altered. HPZS studied the original bank, its history and design, suggesting a new renovation program that would restore the historic space to its original condition. The interior was restored to near original conditions, including furniture and finishes. The exterior was completely restored and new mechanical and electric systems were installed in an unobtrusive manner. The project was awarded The President’s Historic Preservation Award by the Advisory Council on Historic Preservation, the Honor Award by AIA Chicago, as well as the Distinguished Building Award by AIA Iowa.